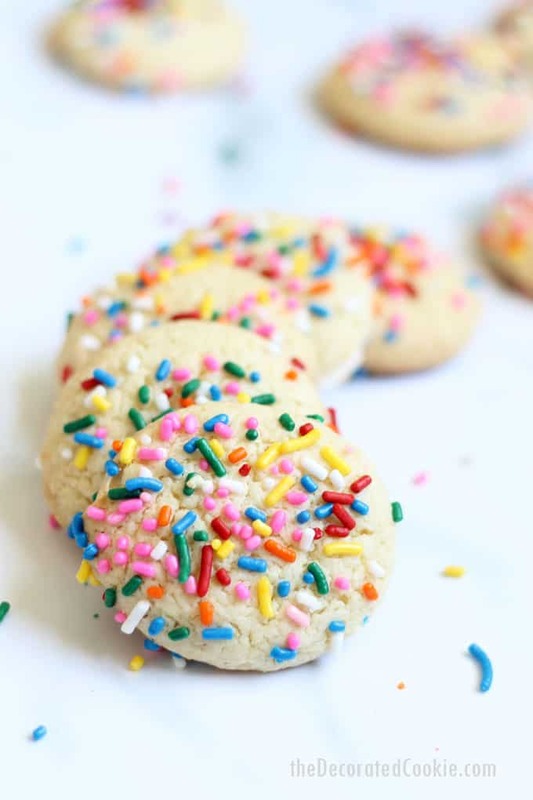 This three-ingredient cake mix cookie recipe is a quick, easy, delicious birthday cookie idea! Try any flavor and any mix-ins you like. I used to have very strong opinions about using a mix to make cookies. That is, I didn’t. I have always been a firm believer in “from scratch,” with the one exception being my cakes and cupcakes. For those, I always use a cake mix, because I love the taste of cake mix. Cake mix cupcakes with homemade buttercream frosting, in my view, is the perfect combination. 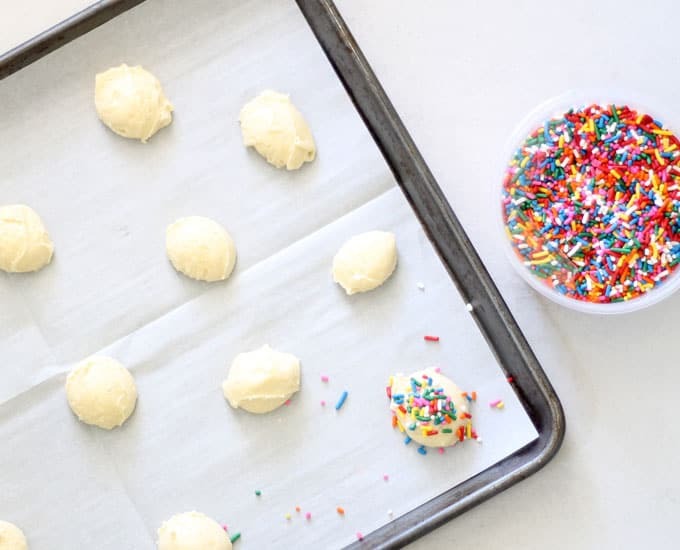 But why, oh why, would you use store-bought mix for cookies and brownies? 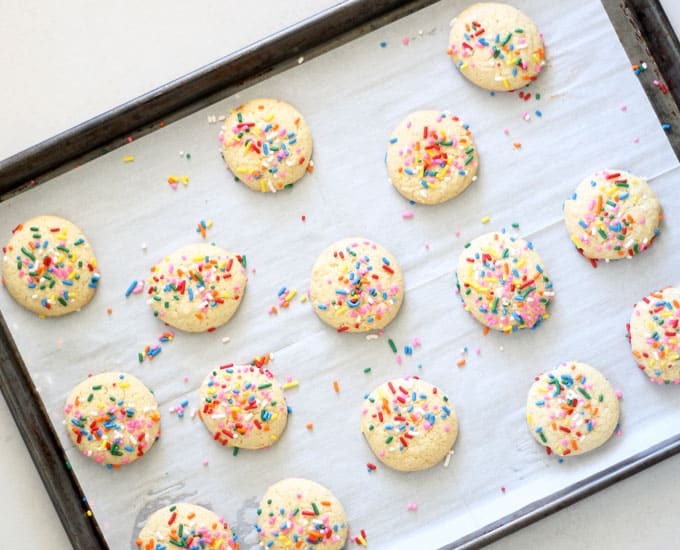 And then I tried this easy three-ingredient cake mix cookie recipe. I admit, I was wrong about mixes for cookies. These cookies are so crazy delicious. 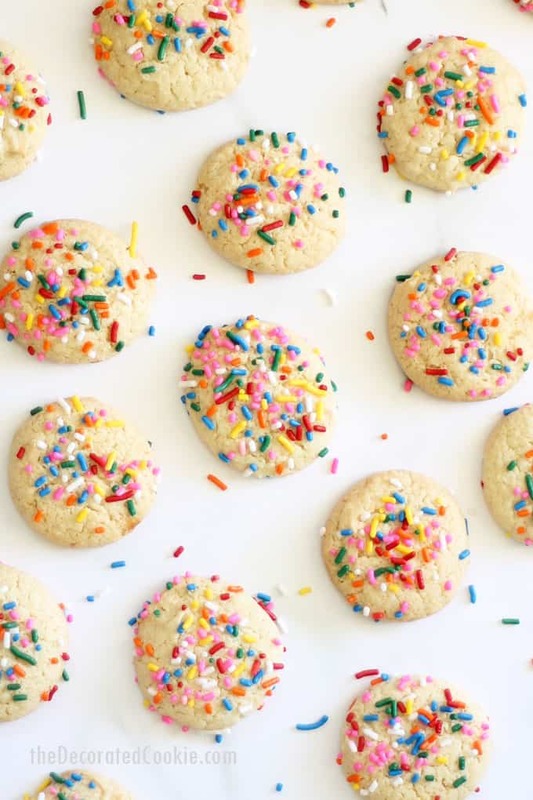 They taste just like a birthday cake, but in a cute, little, three-bite cookie. They are just a bit crispy at the edges, and soft in the middle. 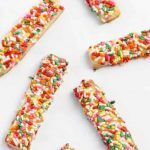 My kids adored them (and they are super picky, even about dessert). Once you have your basic three-ingredient combination–cake mix, oil, and eggs–you can add anything you like. Choose different flavors of cake mix (chocolate, strawberry, funfetti) and add-ins (chocolate chips, lemon, candy bars). You can also top the cookies with frosting or icing, but I find the cookie itself to have just the right amount of sweetness. Here, I used a vanilla cake mix rather than a yellow cake mix, because I wanted the rainbow of sprinkles to stand out more. Need more inspiration? 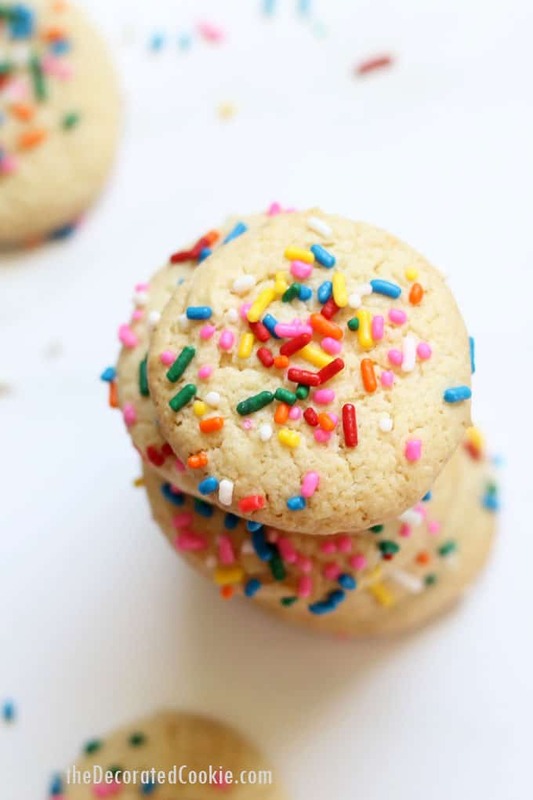 Check out this roundup of cake mix cookies! 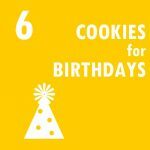 If sprinkles are you jam, you might also like these rainbow sprinkle shortbread cookies or these simple birthday cookies. Preheat the oven to 350 degrees F. Line two baking trays with parchment paper. With a standing mixer fitted with the paddle or in a large bowl with an electric hand mixer, combine the three ingredients and blend well. Drop rounded teaspoons of dough on the prepared baking tray, about two inches apart. 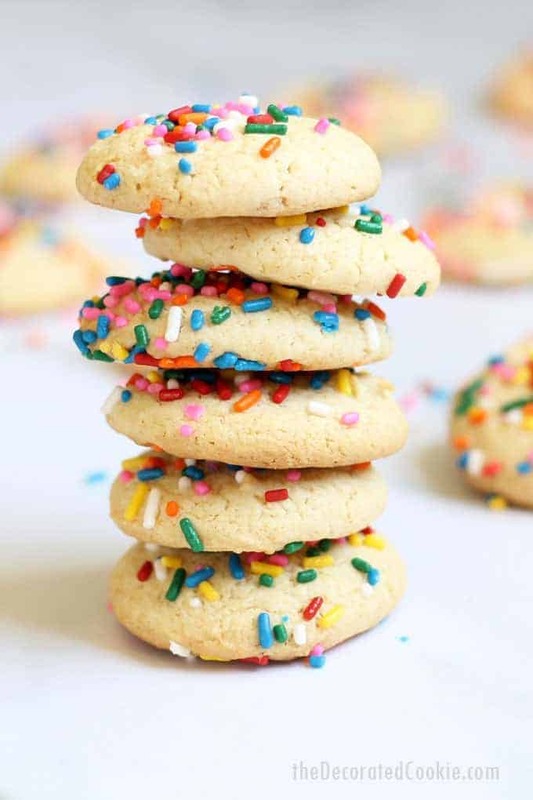 Top each cookie generously with sprinkles, if using. Bake (I prefer baking one tray at a time) for about 15 minutes, or until edges are golden. Preheat the oven to 350 degrees F. Line two baking trays with parchment paper. With a standing mixer fitted with the paddle or in a large bowl with an electric hand mixer, combine the three ingredients and blend well. Drop rounded teaspoons of dough on the prepared baking tray, about two inches apart. 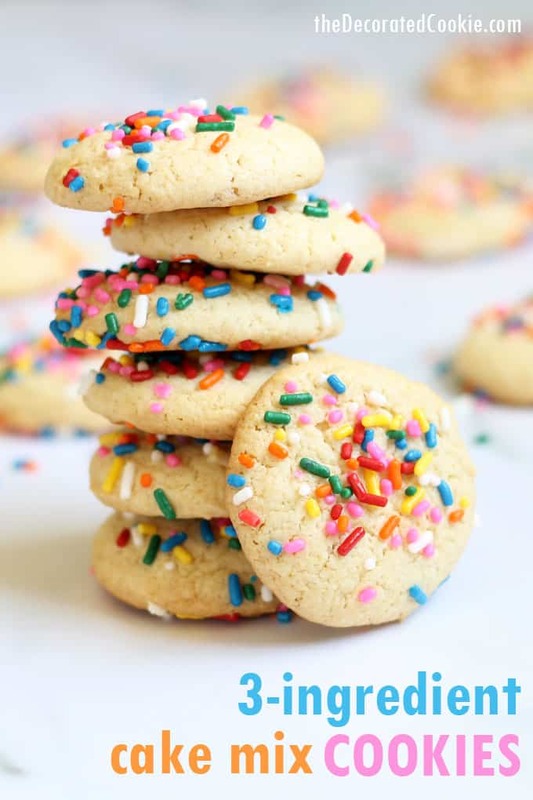 Top each cookie generously with sprinkles, if using. Bake (I prefer baking one tray at a time) for about 15 minutes, or until edges are golden. Makes 3 dozen cookies.